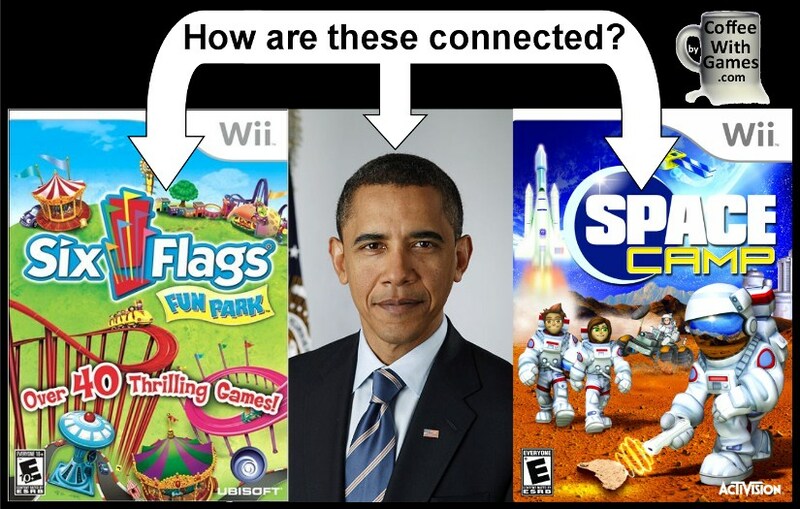 Coffee With Games: President Obama, Space Camp, & Six Flags Fun Park? How they are oddly connected. Very interesting. Though how much legs can a Wii Space camp game have going up against a NASA program that would have taken at least 10 years to get off the ground? Or was the intent to start a new franchise? Thanks for sharing this story. Most surprised to learn they believed that that promised marketing push would actually take place. "Or was the intent to start a new franchise?" The licensing of the NASA logo and Space Camp stuff was for a new franchise I believe, based on the idea that there would be a "push" of sorts for a new Moon landing, and that the publicity/media around that news would benefit not just Space Camp, but also future games like it. Thanks for stopping by, hope that helps some! "Most surprised to learn they believed that that promised marketing push would actually take place." Are you saying you're surprised they thought the game would benefit IF a new Moon landing mission was announced? The developer here said, "My understanding was that Activision had never planned to spend a ton of marketing money on the game, mostly seeking a cheap tie-in to the existing hype which never panned out. ", so it's not the developer that was believing a marketing promise really, more like hoping for a new Moon mission to be announced and planned; but that didn't happen. As for, "Thanks for sharing this story. ", I was glad a developer was willing to share, as the story behind the two games and how Space Camp came about (as small as it was), I found interesting.